East of Eden by John Steinbeck is one of my favorite books. It's an American classic with fantastic imagery and wonderful detail. There are so many profound and thought provoking excerpts from this book, but this sentence intrigued me. 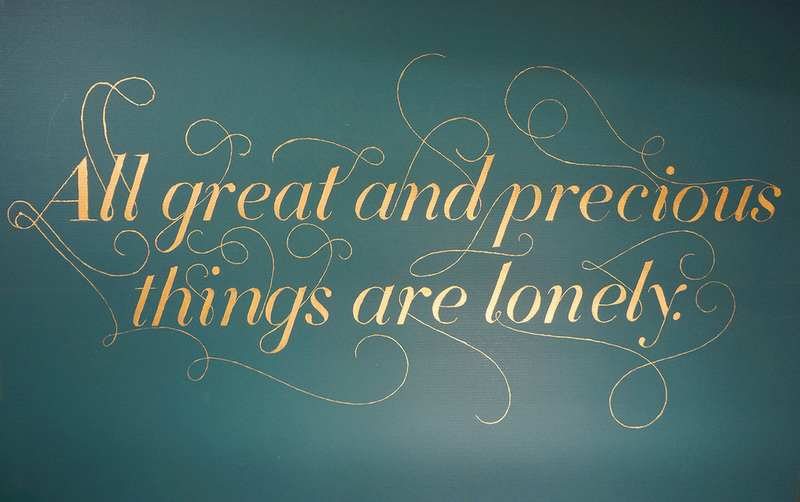 "All great and precious things are lonely." It made me question if I myself am either of those things. Am I great? Am I precious? Am I lonely? Am I none of those things? It also makes me ask, "If I become great or precious, will I also become lonely?" Like so much of Steinbeck's writing, it provokes waves of thought to rush up on the shore of introspection.